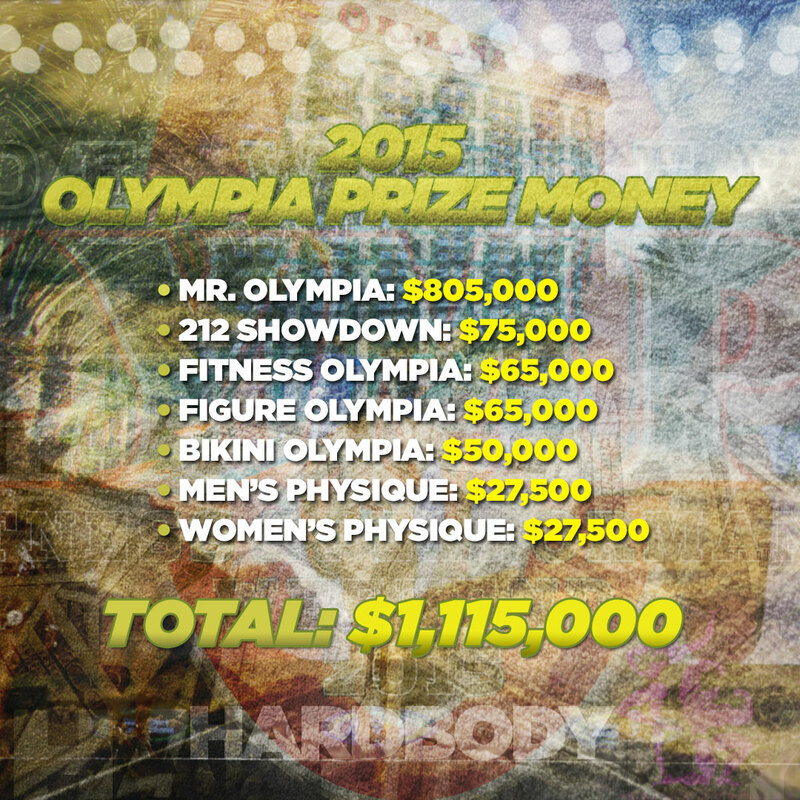 The total payout for the 2015 Olympia will be over one million dollars. The Olympia is looked at as “Bodybuilding’s Super Bowl” and features the best of the best in the IFBB Pro League. The annual event, held in Las Vegas, will offer an all-time high payout this year. The Mr. Olympia is still the foundation of the weekend however numerous other divisions have added to the growing popularity of the event. This year will be the biggest Olympia yet with a record number of competitors slated to take the stage. For more information on the Olympia and the various events visit www.mrolympia.com. 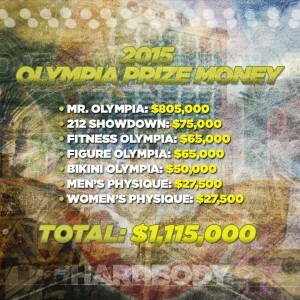 See the prize money breakdown from the 2013 Olympia.